It took Massimiliano Allegri's men 72 minutes to break down their determined visitors in a game made all the more difficult for the hosts by an injury to Paulo Dybala, who pulled up with a thigh problem during the warm-up. But Allegri sent on Kean and the 18-year-old quickly justified that decision with a deflected goal to strengthen his growing reputation as Italian football's hottest prospect. But three minutes after Kean replaced Matuidi the hosts were in front as Mandzukic's superb knock-down gave the substitute the space he needed to rattle the ball in from 12 yards with a touch from Cristian Dell'Orco helping it on its way. 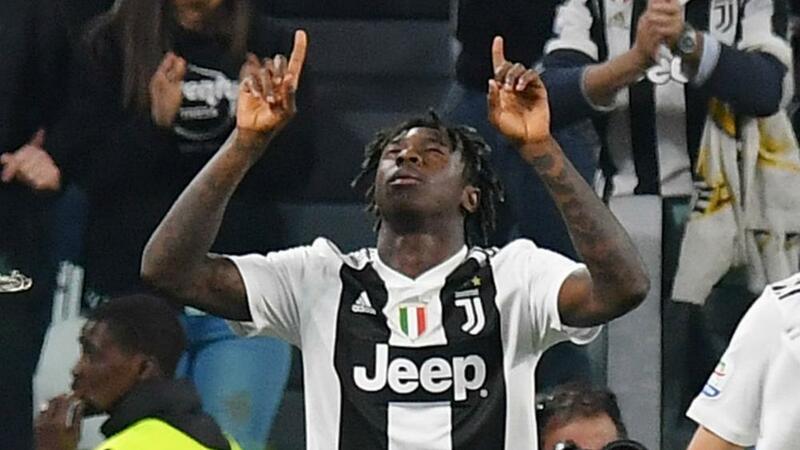 With Ronaldo and Dybala sidelined, Kean emerged as Juve's source of attacking inspiration in a game that was somewhat lacklutstre before his arrival. Dybala's injury meant a place in the starting line-up for Federico Bernardeschi, but he squandered his chances to stake a claim for a regular spot.